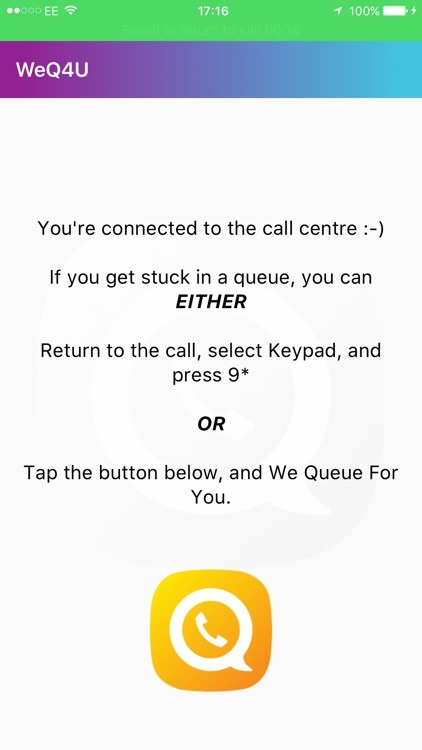 WeQ4U puts you through to Call Centres without the queue and gives you FREE CALLS on MOST 08 NUMBERS. Save up to 58p per minute on your phone bill, whether you get stuck in a queue or not. 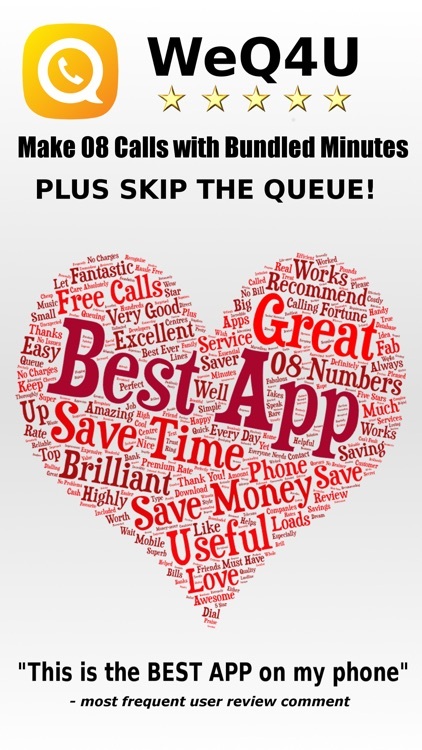 Install now and find out why WeQ4U is most frequently reviewed the "Best App" on the phone. 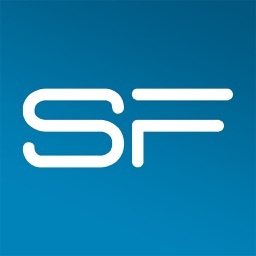 As featured in Which?, Metro, The Guardian, The Sunday Times, Call Centre Focus, Kiss FM, Heart, BBC Radio and TV and The Gadget Show amongst others. Works with millions of UK phone numbers, including HMRC, Sky, British Gas, Post Office, BT and many more! WINNER Real Business Future 50 People's Champion Award! WeQ4U puts you through to ANY UK number starting 01, 02, 03 or 080, as well as MOST 084 and 087 numbers. 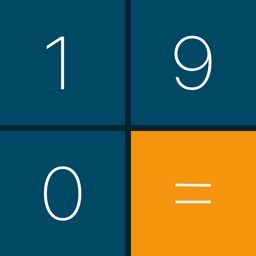 To use it, just enter the number you wish to reach and the app will connect you. 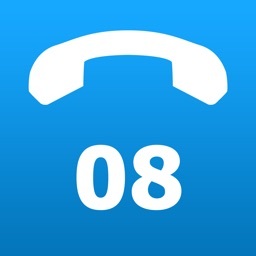 If you get stuck in a queue, just press 9* on your telephone keypad, and your phone will disconnect from the call. 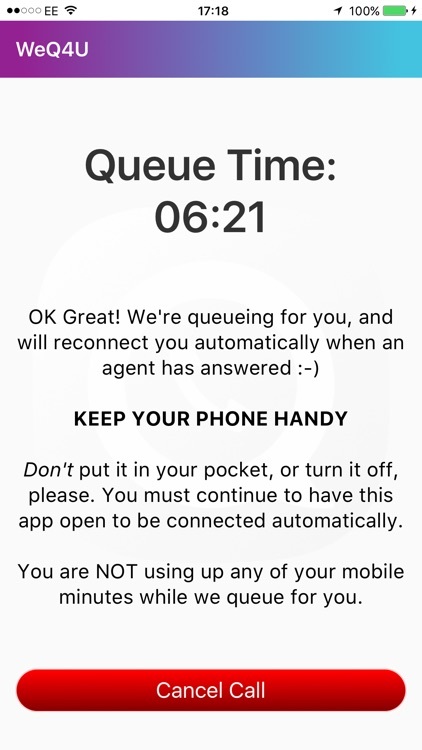 We'll stay in the queue for you, and when an agent answers, you will be automatically reconnected straight away. ALL WeQ4U calls are included in your standard minutes, saving you around 45p per minute (and as much as 58p per minute on some mobile plans) on your 084 and 087 calls - whether you encounter a queue or not! Plus, you don't use any minutes for the time we wait in the queue for you. How good is that! If you're on Contract, this makes WeQ4U calls FREE so long as you stay within your monthly allowance for 01/02/03 numbers. 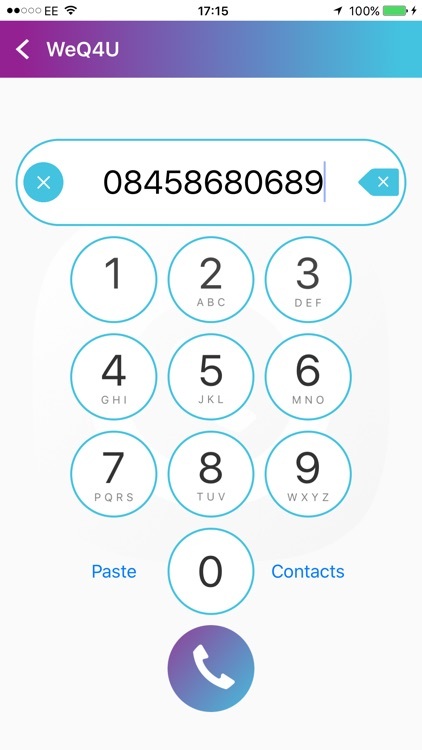 If you are on Pay As You Go / Top Up, then you only pay your standard 01/02/03 rate for the calls, instead of the much higher rates mobile companies charge when you call 084 or 087 numbers direct, so you'll still save loads. NOTE: For numbers that start 084 or 087, the number must exist in our alternate number database in order do be used. We have tens of thousands of 084 and 087 numbers from public sources. Most popular 084 and 087 numbers are in our database. Overall, we are able to successfully service 70% of all queries for these numbers. Please note: Alternate numbers are sourced from publicly available sources. We cannot accept responsibility for the accuracy or quality of any alternative numbers used by the app/service, as we can't manually check every one. Use of WeQ4U is therefore entirely at your own risk. 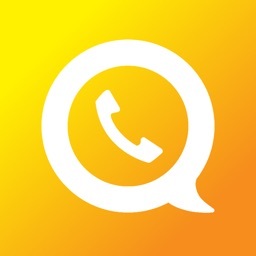 WeQ4U does NOT record your calls, and WeQ4U does NOT share your number or any other personal information with anyone. Unlike Skype, Viber or WhatsApp, WeQ4U connects you to real UK numbers. 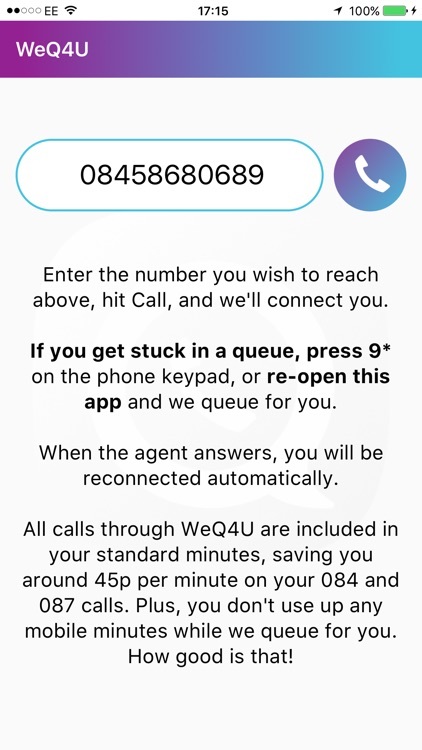 WeQ4U is the latest round in our battle to end the misery of waiting on hold at UK call centres. 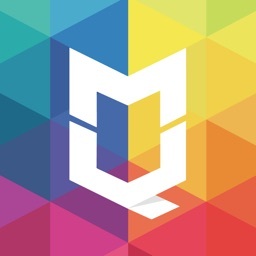 Please help us help more people by telling your friends on Twitter and Facebook about WeQ4U. If you have questions or need support, please email us at [email protected] and we'll be very happy to help you. If you have a problem, it's best to email us as it's difficult for us to help you if you leave a negative review. 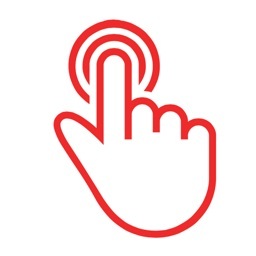 You may be able to answer your query by visiting http://www.weq4u.co.uk too. So what's the catch? There isn't one. Enjoy!